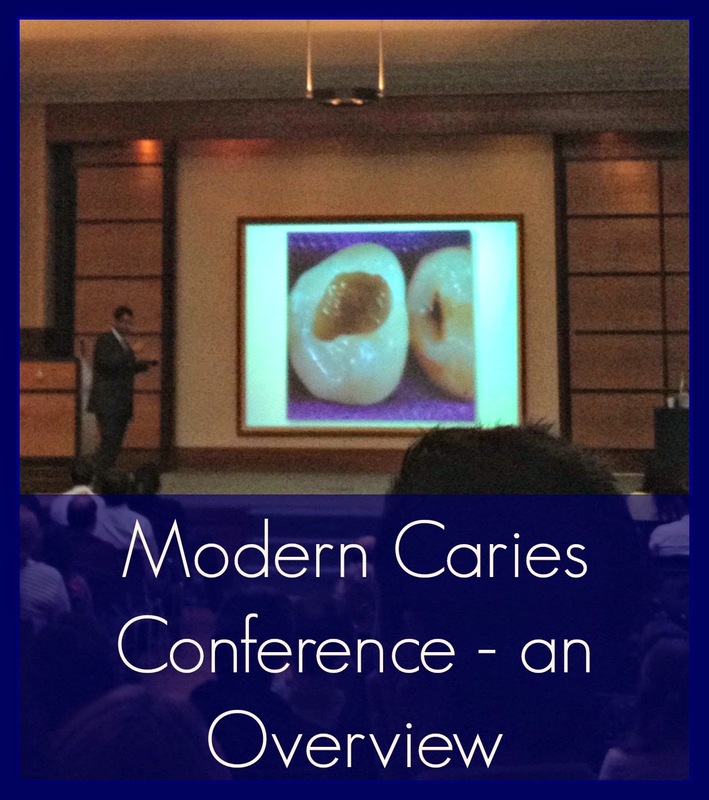 In September I attended the Modern Caries Conference with Professor Avijit Banerjee as one of my study days. It was a bit surreal to realise that the speaker was the principle author of Pickard's Manual of Operative Dentistry, a textbook which was widely used and recommended at Dental School. The day's main message was Minimal Intervention. Here is a summary of the main points from the conference. 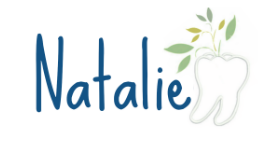 This is a holistic approach to dental care to help maintain long-term oral health. This uses long term prevention plans and techniques to promote remineralisation of dental decay (caries) and involves all members of the dental team such as dental nurses and therapists, not just the dentist. This cavitated carious lesion could be causing pulpal symptoms, but it could be possible to manage this lesion more conservatively than opting straight for root treatment, allowing the dentine to remineralise and the caries to be arrested. Including the repair or refurbishment of previous restorations rather than systematic replacement. When deciding how and if to restore a lesion or existing restoration, the primary concern to create a surface that the patient is able to keep plaque free. The principles that lead to successful management of caries. 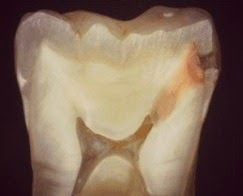 The histo-pathology of caries and tooth tissues, materials science (adhesive dentistry and bonding systems) and clinical handling. Risk assessing or 'traffic-lighting' patient risk for dental disease is a concept that is most likely to be the base of the new NHS contract so every clinician needs to be able assess patients effectively in order to plan and treat them suitably. 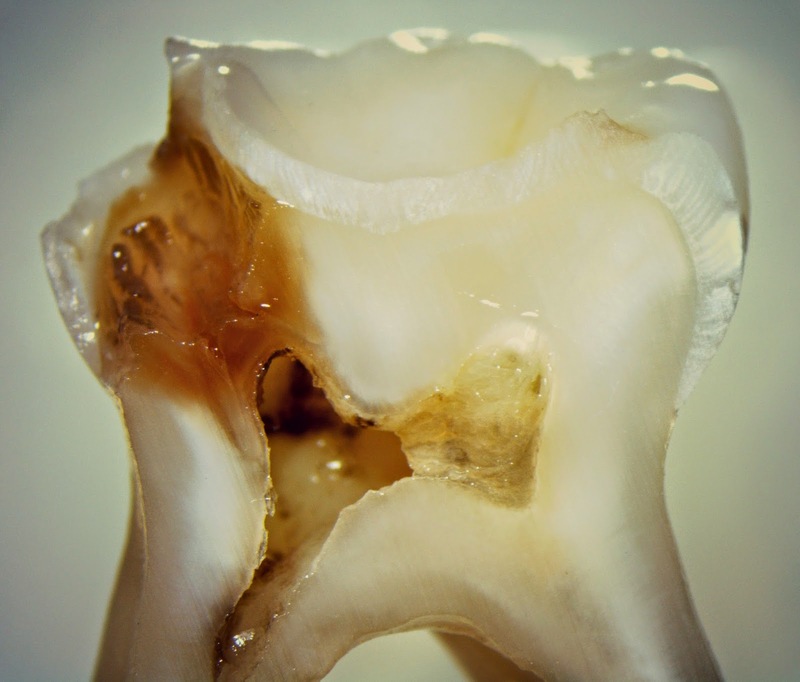 Disease history: current caries? history of caries? Medical history e.g. bulimia, Sjogren's syndrome, radiation to head and neck, hypo-salivatory medication? Despite being doggedly taught to 'clear the ADJ' during caries removal, MI is based on maximal preservation of tooth structure and the placement of a restoration is only to support, seal and potentially heal cavities created after caries removal. Removing tooth tissue for the sole purpose of creating retentive features, for example for retaining an amalgam, should be discouraged especially since the event of adhesive dentistry. Only soft, wet and infected dentine should be removed, especially when lesions extend close to pulpal tissue. This aims to to prevent the initiation of a carious lesion. Sealing is indicated in enamel lesions and early stage dentine lesions. This technique helps to decrease the bacterial flora to below the lesion progression threshold. The use of a strong hydrochloric acid etch is introduced to early demineralised teeth surfaces which encourages low-viscosity resin infiltration into widened pores. The pores fill and therefore porosity decreases which reduces the risk of further progression of the lesion. More evidence is needed in order to determine the long term efficacy of this treatment method. A more recent material designed to repair damanged dentine in both restorative and endodontic fields. It's trisilicate core helps preserve pulp vitality and can stimulate the deposition of reactionary dentine. You would use the biodentine much like a lining material such as Life, and the material is compatible with composite. This technique usually uses GIC to restore cavitated lesions. Soft, wet, infected dentine is manually excavated and the GIC is placed using a press-finger technique. This eliminates areas of plaque retention and the GIC acts a fluoride reservoir to prevent caries from progressing further. Once the patient's oral health is stabilised and the patient's oral hygiene and diet habits have improved, a more definitive restoration can then be placed if necessary. This approach can be very useful in both adults and children alike. This involves incomplete caries removal over pulp horns to avoid exposure. The floor of the cavity can then be lined with calcium hydroxide or other materials such as Biodentine and a GIC placed. This allows for reactionary dentine deposition over the pulp horns so that when the cavity is reaccessed some time later, there is a reduced risk of pulpal exposure when placing the definitive restoration. This technique, pioneered by Dr Innes, is mostly used on children and involves placing a preformed metal crown over a carious primary molar with little or no caries removal. This is particularly useful in children as there is no need for local anaesthesia and evidence has shown this type of restoration outperforms conventional amalgam restorations in these teeth. If saliva production is disturbed, this can increase the risk of caries as plaque acids are not neutralised and there is less of a reservoir of ions to remineralise tooth tissues. Oral lubrication products e.g. Biotene or salivary substitutes can be presribed. Not all dentists have the skills to plan and risk assess patients effectively, or the technical skills and knowledge to implement a minimally invasive treatment plan. Whilst I was taught at a dental school pretty keen on this sort of patient management, there are a lot of dentists out there who were and are still being taught the older school of thought of 'drill and fill'. Changing these dentists' practises can be difficult, especially if they have been practising in the same manner for years. Another issue is that MI dentistry is more time consuming and a less efficient use of a dentist's skill set. Especially in NHS dentistry at the moment, where there is no financial incentive to prevent disease. This issue could possibly be addressed in the new NHS contract where dental care professionals (DCPs) could be employed to provide some aspects of MI. Not all patients will take responsibility for their oral condition. No matter how much you lecture a patient on oral hygiene, oral health may not be a priority in their life. The option isn't just to 'drill and fill' in these cases as this will only postpone the problem, but dentists should make sure they take time and care communicating effectively with these patients and of course to document everything in detail. 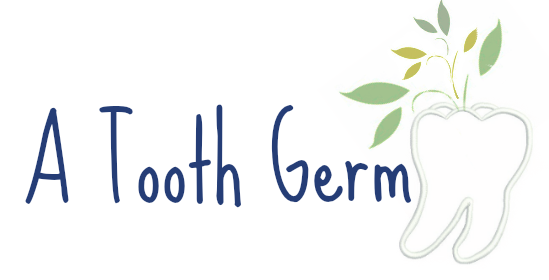 Evidence supporting this approach to managing caries is growing. It is almost always preferable to maintain as much natural tooth tissue as possible (except where the vitality of the pulp is in question), as long as a good seal is produced using adhesive dental materials. Managing disease biologically instead of surgically is a concept all dentists should practice - in no other field of medicine would chopping off a huge area of diseased tissue be more acceptable than trying to cure that area of disease. Are you using Minimal Intervention techniques in practice? What are your thoughts? Please feel free to comment in the section below!